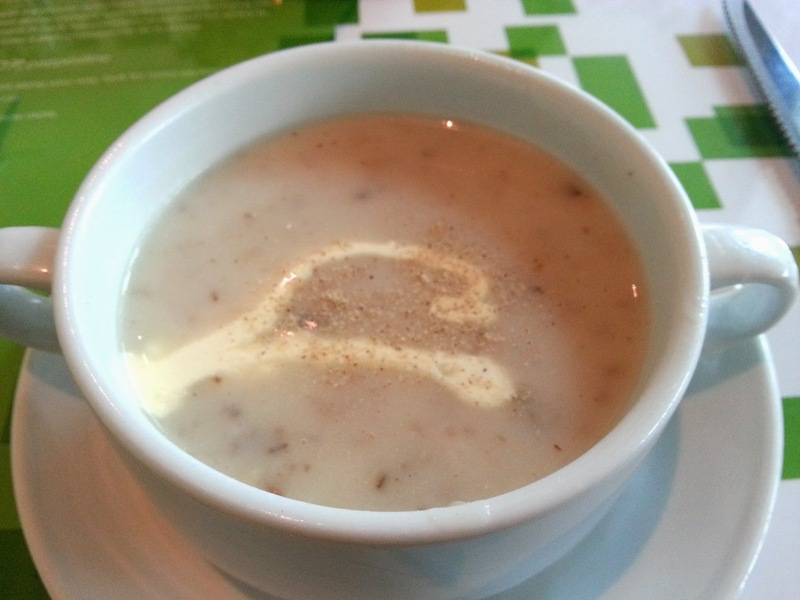 Additional top up for set meal at SGD $5.00 which include Soup of the day, drink and dessert. Beef sausage don't really taste nice. As for the side dish salad and potato chips still acceptable. 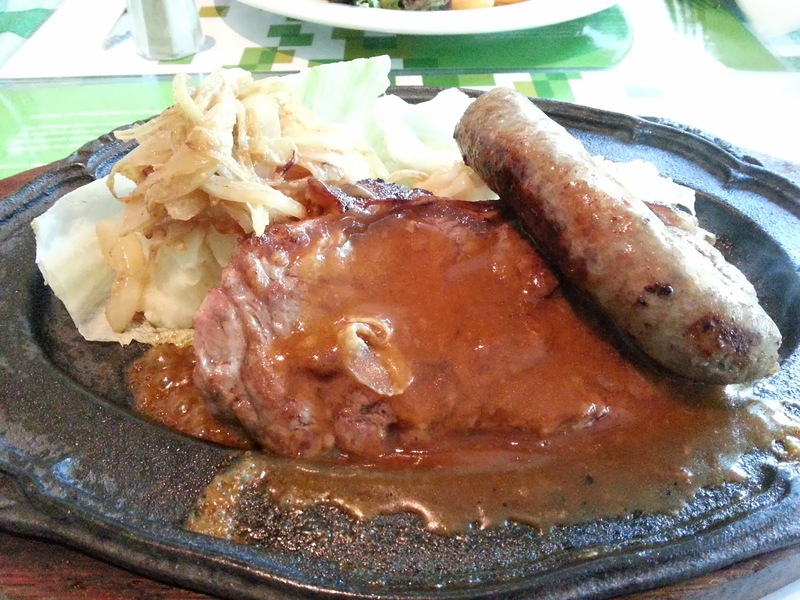 Sirloin steak goes well with the black pepper sauce. 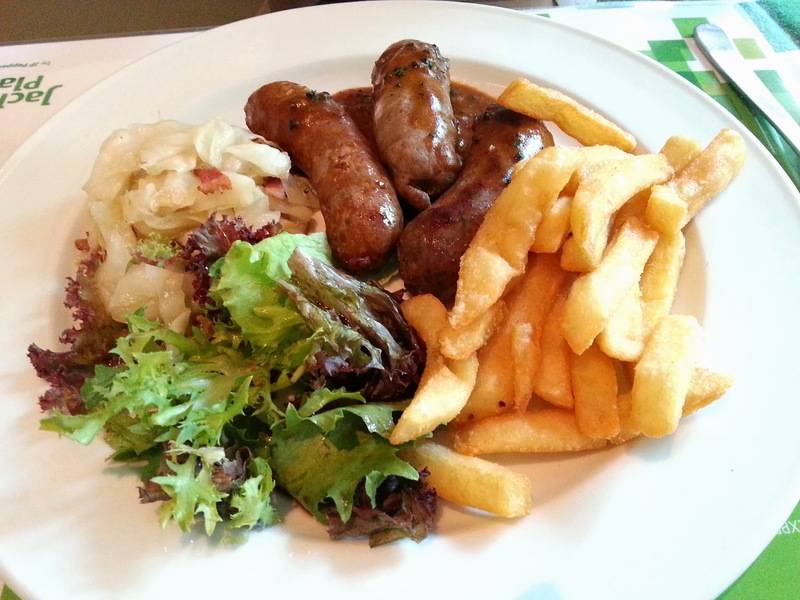 Nevertheless, beef sausage really a disappointment. Service was quite slow and Service staffs take about 20 mins to serve our food. #This restaurant charge 10% service charge and 7% GST.